I believe that most of us who have placed our faith in Jesus would agree that we have found the cure for the heart problem that ails the world. We’ve experienced the peace that passes all understanding, while every day we watch others sinking in despair with their hearts far from God. Sadly, it’s rare when we actually seize the opportunity to toss a rope to the man or woman beside us who is drowning in their hopelessness. I was recently reminded why it is so important to not miss these chances to reach others when God offers you the opportunity. I was speaking at a weekend Celebration in Terrell, Texas, just east of Dallas. My good friend and ministry partner Todd Pierce, a rodeo cowboy, came down from Idaho to share his testimony from the stage of what Christ has done in his life. On Saturday, the second of the three days of the event, Todd was preparing to come over to the Performing Arts Center where the Celebration was being held. As he pulled up to a stop light, he saw a man by the side of the road asking for spare change. God moved in Todd’s heart, and Todd pulled his car off to the shoulder of the road and waved the man over. Todd invited him to the Celebration, and – after hearing what the man had to say about “those Christians” – convinced him to come along. The man quickly went off to find his brothers, and the three of them returned and climbed into the back of Todd’s car. I had no idea that any of this was taking place while I was backstage preparing to preach on youth night. That evening, when I offered the invitation for the young people in the crowd to make a commitment to Jesus, I quickly noticed the full head of gray hair making its way down to the front. One of the three men that Todd had picked up – nicknamed “Freebird” after the Lynyrd Skynyrd song – heard the Gospel and, there in the Terrell ISD Performing Arts Center, prayed to accept Christ as his Lord and Savior. Afterwards he told Todd, “They call me ‘Freebird,’ but I’ve never felt free in my life until tonight.” He couldn’t believe that people loved him and hugged him even though he was wearing dirty clothes and hadn’t showered. The next morning, as our team met for devotions in the local Holiday Inn, we rejoiced at the work that God had done in Freebird’s life. 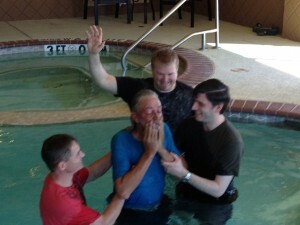 We were grateful that Todd responded when he felt God calling him to pull the car to the side of the road. As we closed our time together, we received word that Freebird was on his way to the hotel. He had decided that – having made a commitment to follow Christ – he wanted to be baptized as well! That morning, along with Todd and our emcee Mark Christian, I had the amazing blessing of helping to baptize Freebird in the Holiday Inn swimming pool. My friends, people need the Lord! Do you have an urgency in your spirit to share Him with others? Do you want to see people find true freedom in Christ? Do you believe that eternity is at stake? When the Holy Spirit nudged Todd to stop alongside the road, he could have easily said, “I’m going to share my faith with thousands of people this weekend. I’m doing my part. I don’t need to do this too!” And when the man by the side of the road started bad-mouthing Christians, Todd could have driven away. But, of course, he didn’t do either of those things. 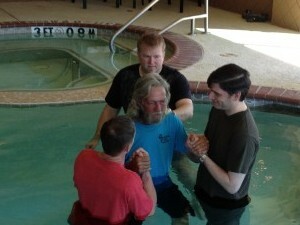 Because of that, Freebird’s eternity – as well as his marriage and his life here on earth – has forever changed. How often do we watch our co-workers, family, friends, and neighbors – even the man asking for extra change on the street corner – struggle through life without sharing with them that they can have true hope for eternity? We’re always too busy, or too timid, or – frankly – too jaded to share the love and peace we’ve found. Don’t miss those opportunities! I pray that I never forget what Freebird taught me, and I pray that you too will be challenged to truly see that people need the Lord. Welcome to Kendra Graham’s online Bible study. This is a place where we can come together and share tin he journey towards Scriptural truths and spiritual maturity. We pray this will be a safe, respectful, resourceful place to come and discuss God’s Word…to discover What it says…What it means…and What it means to you! 25. Joshua said, “Do not be afraid or dismayed, be strong and of a good courage, for thus the LORD will do to all your enemies. 26. Afterward Joshua struck, killed them and hanged them on 5 trees until evening. GOD IS MERCIFUL, AND GOD IS JUST. 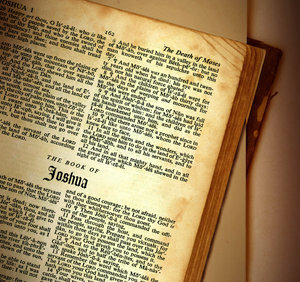 25: Joshua remembers what God has said in His Word, and encourages the nation. God is faithful to His Word, and Joshua is living by it. The things God calls us to do are hard, we will be tempted to run, hide and be discouraged. I must remind myself who God is, not who I am. 20-21: When have I seen God work in mighty ways and been speechless about what He has done, either for me or someone else? (If the answer for this question is never… read the stories of Hudson Taylor, Amy Slessor, Bill Bright, Jim Cymbala) there are countless others on the testimony of God’s amazing power that will leave you and I speechless! 22-24: Has there been a time in my life when I have personally repented of my sin and asked for the forgiveness of God that is available because of Jesus? Or am I living my life in direct opposition to God, thinking I have plenty of time to make things right before the end? Do I realize and know that God loves me and His plan for me is not destruction and punishment, but love and acceptance if I will just humble myself before Him? Do I need to stop here and NOW and ask God to forgive me? 25: Am I in God’s Word enough to remember His promises and challenges to me? Do I believe God is who He says He is and will do what He says He will do? 26-27: Who or what do I put my faith in to provide for my safety, my needs my assurance for the future? A job? A spouse? A talent? My charity? The good stuff I do? Only Jesus is our assurance! 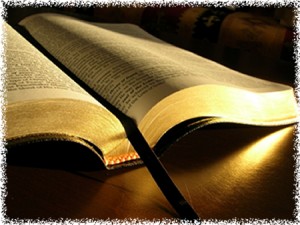 Read Verses 28-43 (Joshua chapter 10), focus doing the 3 questions on verses 40-43. Share with us your lesson(s) and applications and what they mean to you. Do you know someone that might be blessed by joining our study? Please share this blog link with them. God is always at work in our lives. Do we see it…in good times and bad? Do we take time to thank our Creator for the blessings of each and every day? Do we praise Him in all circumstances? Do we surrender everything to Him? A couple from Kernersville, NC knows a thing or two about surrender and the power of prayer. May this beautiful story will be an encouragement to you today. About 3 years ago, I developed a tremor in my right hand that was diagnosed as benign essential tremors. As the tremor worsened and other symptoms began to manifest, my wife, Dianne, asked her neurologist at Wake Forest University Baptist Medical Center for a neurology referral for me. He suggested Dr. Haq, in the neurology department there but told her he might be hard to see since his appointments were scheduled months in advance. When Dianne called to see about scheduling an appointment, she was told there had been a cancellation – the very next morning, at 8 am, “Could we be there?” Is anything too hard for our God? Over the next few months, as I underwent numerous tests, my symptoms worsened. Tests indicated polyneuropathy. We thought I had spinocerebellar ataxia, but the tests were all negative. Only one test was confirmed positive, that for paraneoplastic syndrome. But we had no idea why this syndrome was present. In February, I began having difficulty walking. In 3 weeks time, I was able to walk only with the assistance of lofstrand crutches. Every step was an effort. My entire body seemed to convulse when I tried to stand. The once self-sufficient, independent man that I had always been was reduced to needing help just getting out of bed. It was during this time God began dealing with me regarding my absolute surrender to Him as Lord of my life. I knew He was Savior, but did I trust Him to be Lord? It was easy to say yes to that question when all was well. 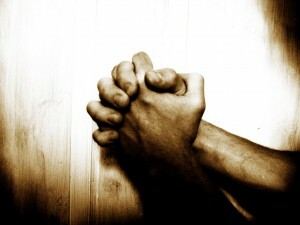 But now, could I accept what He had allowed into my life with thanksgiving (I Thessalonians 5:18)? When I finally realized that even in the darkest places, He was Lord, I felt that “peace that passes all understanding”. I knew that He had a purpose for this and I could trust Him. Dr. Haq had decided that even though we still did not have a definitive diagnosis for my convulsive movements, he would admit me for a week of steroid treatments. I would enter the hospital on June 11. 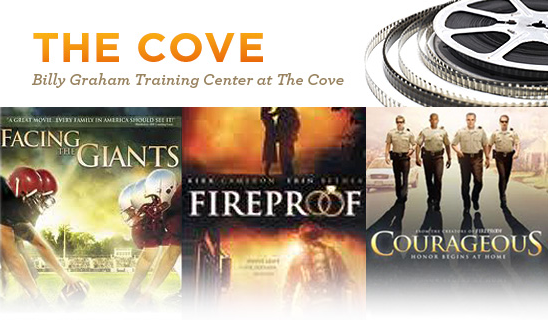 Dianne had already booked a weekend seminar for us at The Cove for June 8-10 to hear Dr. Ken Boa. How amazing that God orchestrated our time at The Cove the weekend before my hospitalization! When we arrived for registration at The Cove, we signed up for the Interactive Sessions that were a part of the Seminar event. I was assigned with a fabulous group of men, and Dianne with a great group of women. We were loved upon, encouraged, prayed for. We were sought out by a couple who had used a recent hospitalization to witness to the hospital staff, and encouraged me to do the same. They shared Bible verses with us. We recognized that God had sent all these people to us this very weekend for a special purpose. The staff at The Cove was so kind and helpful, and we knew they were also praying for us. We were encouraged by Dr. Boa’s teaching. We left The Cove on Sunday knowing we were firmly secure in God’s hand, that He was in control, and we need not fear. On June 11, we arrived at the hospital to find out the treatment plan had changed over the weekend. One of the physicians Dr. Haq had conferred with had found an article that suggested IVIG treatments. They started the first treatment Monday evening. By midweek, I began standing and taking steps without my crutches. By Thursday, I was making laps around the neurology department. As I walked, I shared with the staff of God’s goodness; I handed out tracts to those who asked how I could be so joyous. God provided many opportunities for me to share His love during my stay. Then, on Friday I walked out of the hospital without my crutches. Am I cured? We don’t know. The doctors were amazed at how well the treatment worked but can’t give a prognosis since they don’t have a definite diagnosis. But this we do know, “we are fearfully and wonderfully made” and the Creator God does know. It is in His hands and whatever He chooses to send, we accept. He knows what is best for us. He knew that until I was unable to manage on my own, I had reserved a part of me that was not completely surrendered to Him. I am grateful for this time of illness, for I saw not only physical healing, but spiritual healing as well. I felt the amazing power of prayer. I saw how God’s timing was woven throughout the events of the past months. I had great physicians, great medical staff to administer the treatment, all orchestrated by Him. But more importantly, we had a lot of people praying for us…our church, our family, and our friends. How awesome is our God who walks with us, hears our cry for help, and sends people to walk through our valleys with us!! 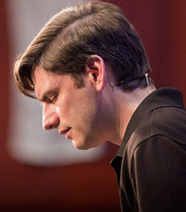 Free Webcast with Will Graham! Join us online on Friday June 29th at 7:15pm ET for a FREE webcast as Will Graham teaches on Leviticus in the first session of his seminar titled, When The Shadows Speak. Listen as Will explains what he has in store for us. Click here to join the webcast. Enjoy! We are blessed with all kinds of wildlife here at The Cove, but this one wins the “awwwwww” award. This little fawn visited our administration building here on the property yesterday. Don’t worry, mama is looking on from the nearby woods. You and your ministry team are personally invited to one of our most exciting opportunities at The Cove this year. Is in a Box. 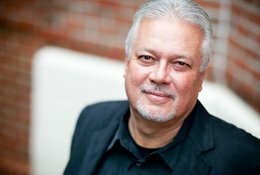 As you may know, Michael is the co-founder of Sherwood Pictures and has produced influential Christian movies such as Courageous, Fireproof, and Facing the Giants. This two-day retreat includes plenary sessions and Q&A with Michael as well as time to meet together with your team for planning, interaction, and reflection. Join him as he shares insights on how to discover and unleash God-given, Spirit-inspired creativity that can transform your ministry and impact your community for Christ. On behalf of the entire team at The Cove, we hope you will give us the opportunity to serve you here. May God richly bless you. To register or for more information on this Church Staff Retreat, click here or call 1-800-950-2092. Welcome to Kendra Graham’s online Bible study. This is a place where you can come together and share your journey towards Scriptural truths and spiritual maturity. We pray this will be a safe, respectful, resourceful place to come and discuss God’s Word…to discover What it says…What it means…and What it means to you! FACTS: What Does it Say? LESSONS: What Does it Mean? 18-19: Do not be distracted from the task at hand even if you capture a high value target. Stay focused on the task at hand. Pursue those enemies. Often times I give up the fight when God has called me to complete it. I may say, “Ah, I have done most of it, I’m out” Do not allow the enemy to re-group, finish the task completely. APPLICATION: What Does it Mean to me? 15. Do I realize we are in this fight together as Christians? Are we listening to one another and getting back to work together with a common goal? 16. In times of crises in my life, what was or is being revealed about my character? Am I strong and courageous in the LORD, or weak and cowardly? Crises reveals my belief, what has crises revealed regarding my belief? Has my belief and faith been proven or run from? 17. What causes me to question God sees me? effort? Time? I’m not “feeling” it any longer? I would rather……? This distraction over here is more “me” and makes more sense? 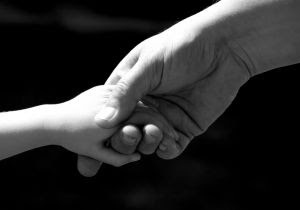 Will Graham, Executive Director at The Cove, the son of Franklin and Jane Graham and the grandson of Ruth and Billy Graham, penned this tribute to the enduring love between his grandparents. Five years after Ruth’s passing on June 14, 2007, we join Will in remembering this godly woman’s legacy. It’s such a gift to have grandparents who impart profound truth without even trying, living in such a way that the lessons are impossible to ignore. 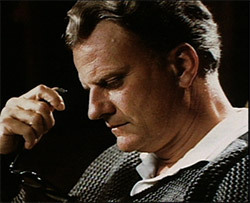 ever,” my grandfather, Billy Graham, shared as he talked about my grandmother, Ruth, who passed away in 2007. His booming voice, heard by millions around the world on TV, radio, and in person, now escapes as little more than a whisper. Daddy Bill loves Tai Tai (the affectionate nicknames that we grandkids have for them). I guess one should probably say “loved” since she is no longer living here on earth, but that wouldn’t be accurate. He loves her with a love that cannot be destroyed by the physical separation of mortal death. 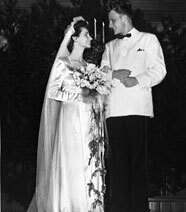 For more than 60 years as he traveled the world sharing a message of hope to the masses, she was his strength and inspiration on the home front, a practical joker who could make a princess and a beggar feel equally comfortable in the same room. He would refer to her as the greatest Christian he had ever known and comment that she knew the Bible far better than he did. She helped to prepare and equip him to go out and accomplish what he was called to do. In my grandparent’s home, my grandmother—who had suffered years of declining health—had a room where she spent much of her time. It was where she slept and where she studied the Bible. Several translations were spread across a large desk, all featuring big margins for taking notes. This room was also where she ultimately slipped into eternity. My grandfather still stops as he makes his way past to look into her room, as though he might find her sitting up in bed with the mischievous grin and quick-witted comments that she carried until her final day on earth. As he looks into that room, my grandfather still sees a simple woven wreath of Jerusalem thorns hanging on the wall amidst family photos. Directly across from it is the bed where my grandmother courageously faced the debilitating pain that followed her for years. It’s such a gift to have grandparents who impart profound truth without even trying, living in such a way that the lessons are impossible to ignore. Daddy Bill and Tai Tai have taught me so much about life, love and even pain and death, and I will be forever thankful for both of them. Will Graham will be speaking at The Cove on June 29-July 1 in a seminar titled, When The Shadows Speak. You can register by calling 1-800-950-2092 or visit our website by clicking here. It doesn’t matter if your Dad is 35 or 75, there are certain gifts that have timeless appeal and will always be remembered. 2. Another tie. Seriously. One day these can be made in to a tie quilt! 3. A golf club. Can a man ever have enough golf clubs?? Call The Cove today at 1-800-950-2092 to give a gift with eternal impact.